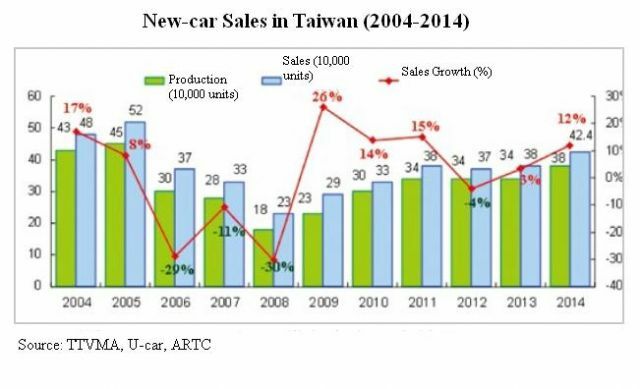 Continuing a growth trend from 2013, when about 80 million units were sold, sales of new cars worldwide increased by about 4% to reach some 85 million units in 2014, though regional markets showed ups and downs, according to the Automotive Research & Testing Center (ARTC), Taiwan's leading transportation vehicle R&D and testing institute. In Asia, new-car sales grew by 7% from 2013 to reach 23.49 million units, thanks many to over 20 million units sold in China, the world's largest automobile market since 2010. The Japanese automobile market has been uneven in the years since the 2011 earthquake and tsunami. The government's stimulus program in early 2014 spurred new-car sales in the first half, but the higher consumption tax rate cooled consumer spending in the second half. Japan's new-car sales totaled some 5.55 million units in 2014, a 4% increase from the previous year. In United States, the world's second-largest automobile market, new-car sales grew by about 5% to 16.8 million units in 2014, marking the fourth consecutive year of growth. Brazil, the largest single automobile market in South America, has enjoyed a boom in new-car sales for many years, thanks mainly to rapid economic growth and improved infrastructure. Brazil was the world's fourth-largest automobile market since 2010, However, new-car sales in 2014 stopped growing and slipped by 7% to only about 3.5 million units, due to higher car prices (new compulsory laws requiring all new cars to be equipped with more safety equipment) and flagging economic growth. 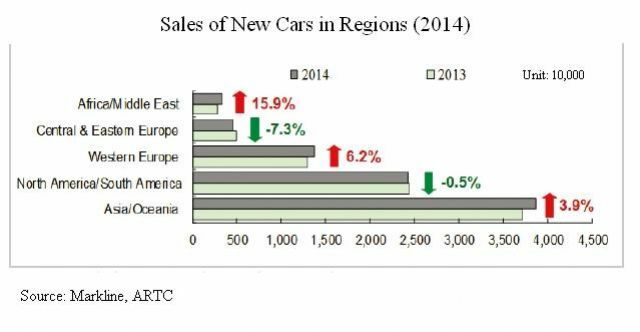 The European automobile market finally turned around last year. In Germany, some 3.31 million new cars were licensed, up 3%. In the U.K. the volume increased by 9.5% to reach 2.84 million, while France and Italy posted new-car sales gains of 0.4% and 5.3%, respectively, to 2.17 million and 1.46 million units. In general, the world's top 10 automobile markets in 2014 were China (up 6.9%), the U.S. (up 5.3%), Japan (up 3.5%), Brazil (down 7.2%), Germany (up 2.9%), India (3.18 million units, down 2.0%), the U.K. (up 9.5%), Russia (1.78 million units, down 13.0%), France (up 0.4%), and Canada (1.85 million units, up 4.1%). India and Russia were among several major emerging markets suffering sliding new-car sales. Russia's conflict with Ukraine and domestic financial instability heavily impacted new-car sales last year. ARTC says that strong global demand for new cars in 2014 led to a 1.3% expansion in global car production. However, in the capital- and technology-intensive automotive industry, more than 80% of new-car production capacity was concentrated in a few nations. In the first three quarters of 2014, for example, the top-12 automobile production nations together turned out 54.9 million new cars, representing a share of 86%. Currently, the world's most important auto producing nations include China, the U.S., Japan, Germany and South Korea. 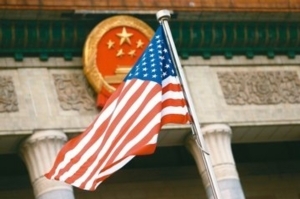 In China, major car producers include Volkswagen Group, Hyundai-Kia Group, and GM Group. In the U.S., Ford, GM Group, Fiat-Chrysler Group, Toyota Group and Honda. In Germany, Volkswagen, BMW, Mercedes-Benz and Ford are the major producers. Japanese automaker Toyota continued its leading position as the world's No. 1 in 2014; and thanks to sales growth in major markets such as the U.S., China and Japan, the group's global sales volume increased by 3% from previous year to reach 10.23 million units. Long-term cultivation and continued sales increase in the big Chinese market, as well as smooth sales worldwide, helped Germany-based Volkswagen Group to become the world's No. 2 auto vendor. The company sold 10.14 million new cars worldwide in 2014, up 4% from previous year and bringing it within a hair of Toyota's record. American automaker GM, the No. 3 automaker, enjoyed smooth business gains in its home and Chinese markets, though sales in Brazil and Russia dropped, leading to only a 2% year-on-year (YoY) volume increase in 2014, to 9.92 million units. The fourth-largest automobile manufacturer was Korea-based Hyundai-Kia Group, which achieved global sales of eight million units, up 5.8% YoY. Together with other major players, like Renault-Nissan, Ford, Fiat-Chrysler Group, Honda, PSA and Suzuki, the top-10s accounted for more than 70% of global new-car shipments, or about 60 million units, in 2014. 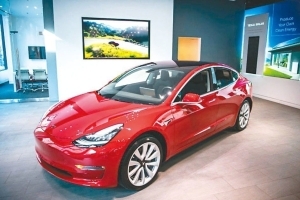 Driven by strong sales in most months, new-car sales in Taiwan totaled 423,829 units in 2014, up 12% from a year earlier (378,456 units sold) to set a nine-year volume high since 2005 (when around 520,000 units were sold). Domestic new-car sales began falling in 2005 to only about 230,000 units in 2008, at the peak of the global financial crisis. 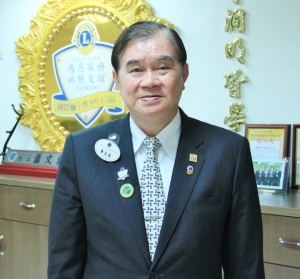 In 2014, Hotai Motor Co. Ltd., the local agent of Toyotas and a major vendor in Taiwan, led with a market share of 32.9% (33.6% in 2013) by selling 139,240 new cars to retain its No. 1 position for the 13th consecutive year, with six models being top-10 sellers on the island. 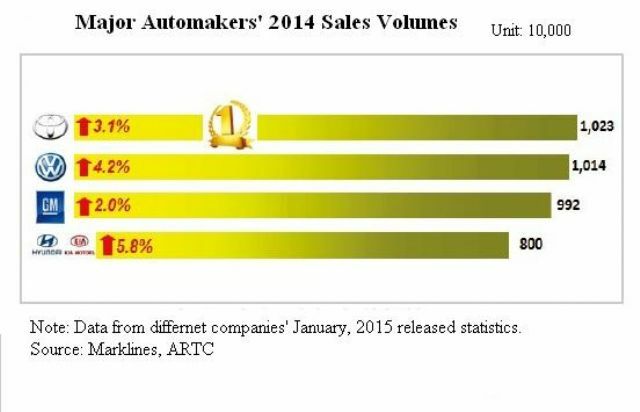 Hotai has been the leading auto vendor in Taiwan over the past 14 years. Yulon Nissan Motor Co., the local agent of Japan's Nissan, took the top spot in the domestic market for the first time in a decade, replacing affiliate China Motor Corp. (CMC), the local assembler and agent of Mitsubishi. Yulon Nissan sold 47,741 new cars, up 8.5% YoY and the highest annual volume for the company since 2008 to win a market share of 10%. CMC sold 43,538 units, up 3.4% YoY, taking the No. 3 position. No. 4 Ford Lio Ho Motor Co., a subsidiary of American automaker Ford, increased sales by 2.5% to 24,703 units, while Honda Taiwan Motor Co. trailed slightly behind with 24,599 units. ARTC pointed out that a noticeable trend in the 2014 Taiwanese automobile market was a 32% market share won by imported cars (136,000 units sold), the highest in 13 years, with Mercedes-Benz, BMW, Lexus, Volkswagen (VW), Audi, and Volvo hitting record sales volumes on the island to enjoy clear sales growths in the local new-car market. In 2009, imported cars won only a market share of about 20%. Mercedes-Benz again led import brands in Taiwan in 2014 by selling more than 19,000 units, followed by BMW and Lexus. In conjunction with the increased sales volume in the domestic market, as well as increasing exports of locally assembled cars, local automakers' total annual production also hit a record high since 2005, to about 380,000 units, a 10% increase from 2013. Kuozui Motors Ltd., the local assembler of Toyota cars and the largest assembled-car exporter in Taiwan, produced 204,326 units in 2014, up 17.6% YoY, marking the first 200,000-more record among all local counterparts and winning a 53.9% share. 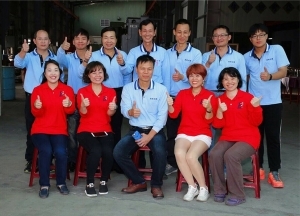 Yulon Motor Co., local assembler of Nissan models and the group's LUXGEN own-brand cars, turned out 60,324 new cars, up 23.4% YoY, accounting for 15.9% of the island's annual car production. CMC, Ford Lio Ho and Honda Taiwan's annual production volumes were 45,203 (up 5.5% YoY, 11.9% share), 30,836 (down 9.0%, 8.1% share), and 23,675 (down 5.9%, 6.2% share), respectively. Taiwan's assembled-car exports have been increasing steadily in recent years with policy support from the government and local automakers' efforts to improve quality. The annual export volume first broke 80,000 units in 2013, and it climbed by 16% in 2014 to some 96,000 units, a new milestone for local automotive industry. Kuozui is is Taiwan's top auto exporter, accounting for 98% of local assembled-car exports in 2014, with the remainder shipped by CMC. Major export markets for Taiwan-assembled cars are Middle East nations such as Saudi Arabia and the U.A.E. 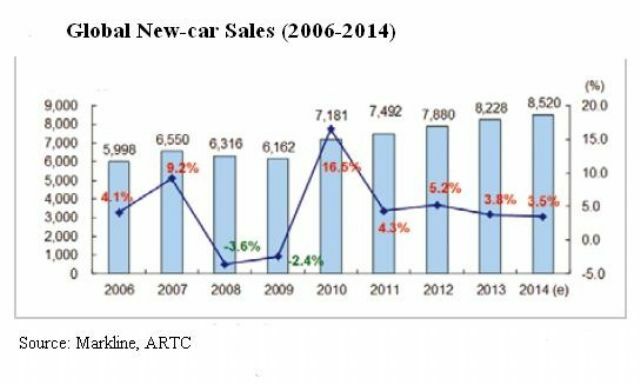 However, ARTC warned that the the falling Japanese Yeh has provided momentum for Japanese-made cars. As a result, increasing exports from Japan-assembled cars are certain to have an impact on the volume of Taiwan-made models in the future.